Are you in need of marquee tents for hire in City Bowl & CBD? We have a wide range of tents in all different shapes and sizes. We understand what it takes to make your event successful and we will use our vast knowledge to help you get the right tent for your occasion. No matter the whether or the terrain, our tents will provide the perfect environment for your guests. Intimate yet spacious they create the perfect space for family, friends and vistors. All our products include delivery and assembly services for our clients, allowing you to concentrate on planning your event. No matter the kind of event that you want to host, or the number of visitors expected to attend, our tent hire services in City Bowl & CBD literally have you covered. Our experience in the industry has enabled us to remain at the forefront as far as tent delivery and installation is concerned. 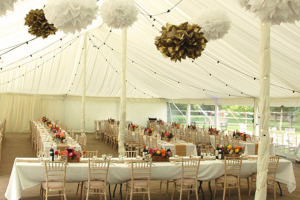 We are available for peg and pole tents for all your events including weddings and birthday parties. If you want something more, then perhaps we can suggest one of our stretch & Bedouin tents? Our gazebo hire service is also available for smaller events sure as fares of expos. Whatever you have in mind, give one of our operatives a call today and ask for a free estimate on 021 300 3641!